More and more, we are learning that scientists, marketers, programmers, and other kinds of knowledge workers lead office lives very similar to famous innovators like Watson, Crick, and Franklin, who discovered the structure of DNA. How so? All of these people live work lives structured around progress in meaningful work. And when this progress occurs, it boosts emotions, perceptions, and productivity. This could be an important key to supporting your employees at their desks, wherever those may be. While recognition, tangible incentives, and goals are important, leading managers must also consider nourishing progress through attention to inner work life, minor milestones, and appropriate modeling. When progress is effectively monitored and encouraged, it can lead to a self-sustaining progress loop, which often results in increased success and productivity, especially toward larger, group-based goals. In other words, when managers support inner work life and recognize minor progress, it leads to major accomplishments. 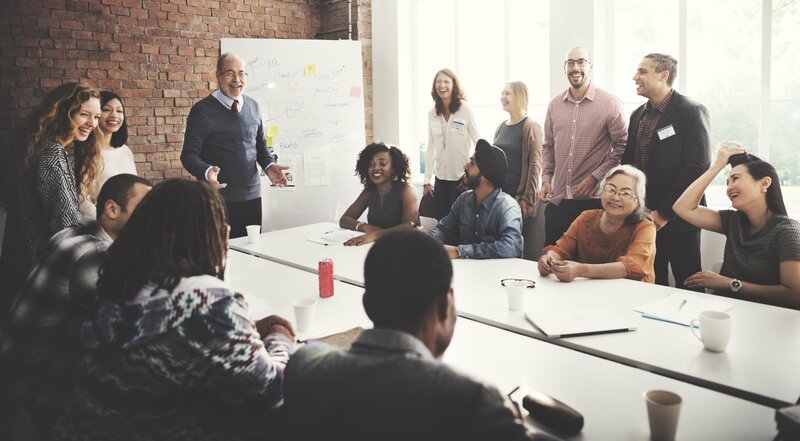 Seeing employees as growing, positive individuals with a drive to experiment and learn, as opposed to mere means to an end goal, can make all the difference in an office, and over the years. One way to do this effectively is to incorporate humility into your leadership style. This doesn’t imply that you have low self-confidence or are yourself servile. Rather, it says you prioritize the autonomy of your office and support your employees to think responsibly for themselves. Ask them what their daily work lives are like, and how you can help them maximize effectiveness. Create low-risk opportunities for growth, and most importantly: follow through.